Crafted by master machinists in Japan these CNC aluminium stems manage to be both incredibely stylish and incredibly light. 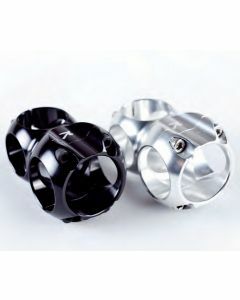 The fully rounded design adds strength and allows the stem to be milled out to an insane degree. Available in black or silver with 26.0mm clamp.